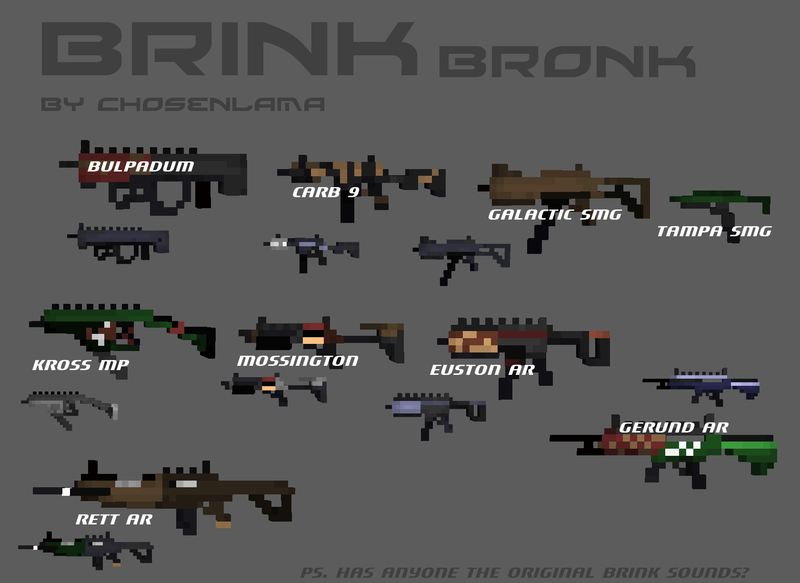 Chosenlamas Brink "Bronk" pack released! There is some cool guns in there. Good job. does this include sound and iron sights? real nice guns dude, you should label them in the poster though, so we know what the kv6's are. how to "extract" sounds from brink? My pistols made it in! My pistols are in a pack! Dude, I'll try to extract the sounds from Brink when I get the chance. It's being delivered today. Anyway, I think that while you wait for me to get you the sounds, you should try or get someone to try to make some ironsights. /votekick winston leaving the epic way. OMG YEEEEESSSSSSSSSS!!! THANK YOU SOOOOO MUCH DUDE, I LOVE BRINK!!! d(^W^)b DOWNLOADING RIGHT NAO!! !